AGED 28. 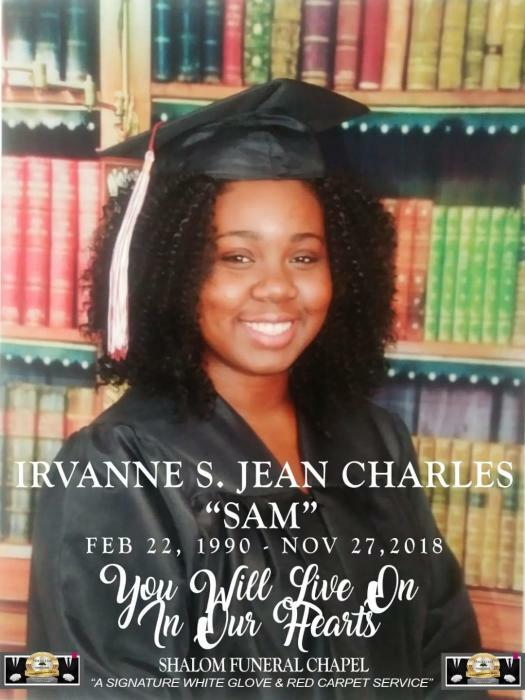 THE LORD HAVE ADDED HER TO HIS LIST OF ANGELS IN HEAVEN ON THE 27TH DAY OF NOVEMBER 2018. FRIDAY DECEMBER 7, 2018 7:00 P.M. TO 9:00 P.M.
LAST VIEWING: 10:00 A.M. SERVICE STARTS AT 11:00 A.M.
FRIDAY, DECEMBER 7, 2018 ANYTIME AFTER 4:00 P.M.